Delicate, yet strong. Defined, yet soft. Down to the very last detail, Terrace is the perfect contradiction. 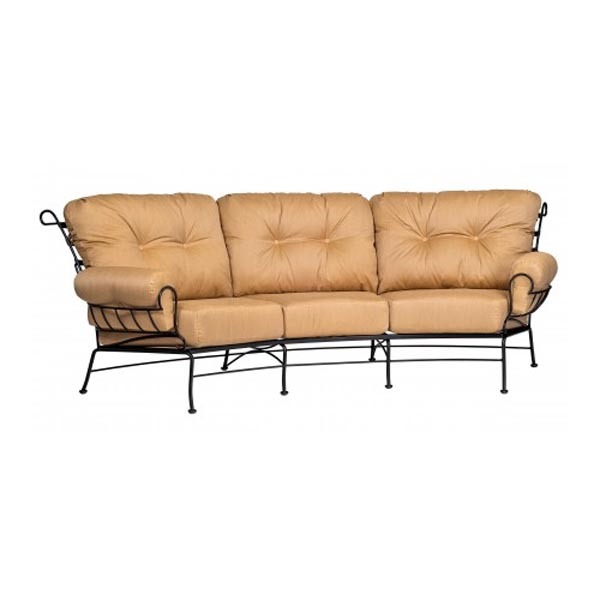 A consistent and clean slat-back design is combined with intricate curled wrought iron edges and generously padded arms. 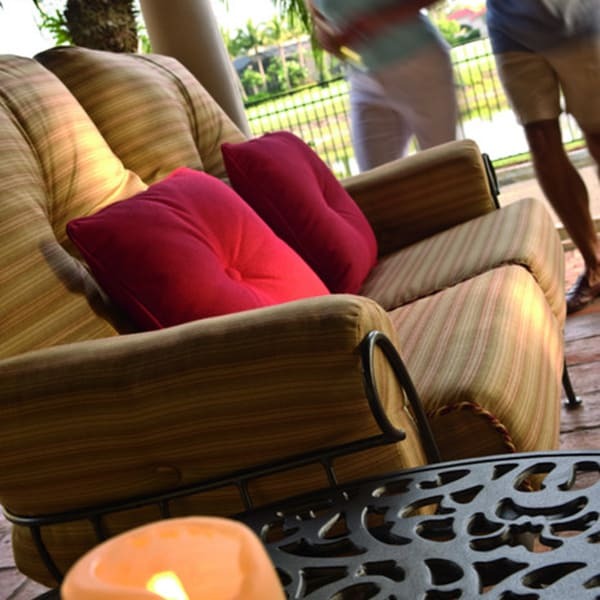 Terrace can be customized in multiple finishes and all-weather fabrics. Anything but unassuming, the Terrace collection from Woodard is sure to draw a crowd. 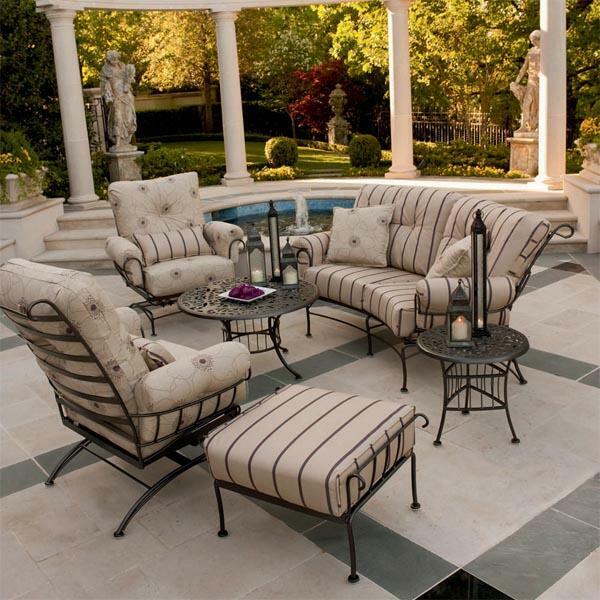 For more than 100 years Woodard has been a leader in the patio furniture industry, offering innovative seating and tables for outdoor use. 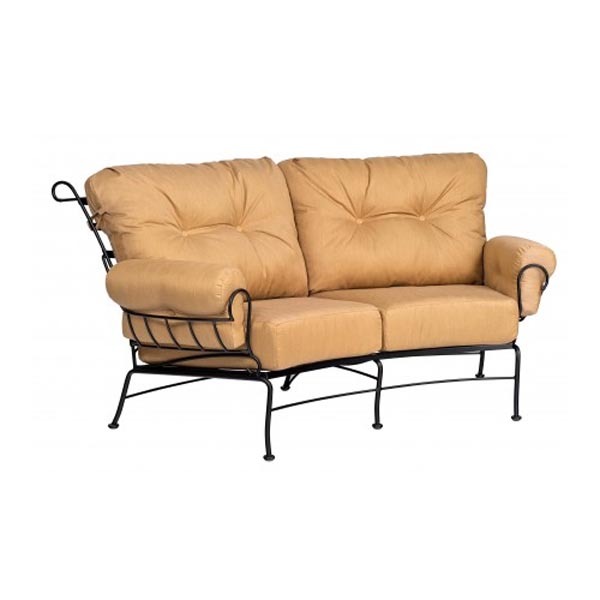 And with the introduction of the Terrace Deep Seating Collection, they can add one more accomplishment to their long list of achievements: creating one of the most comfortable deep seating collections available today. 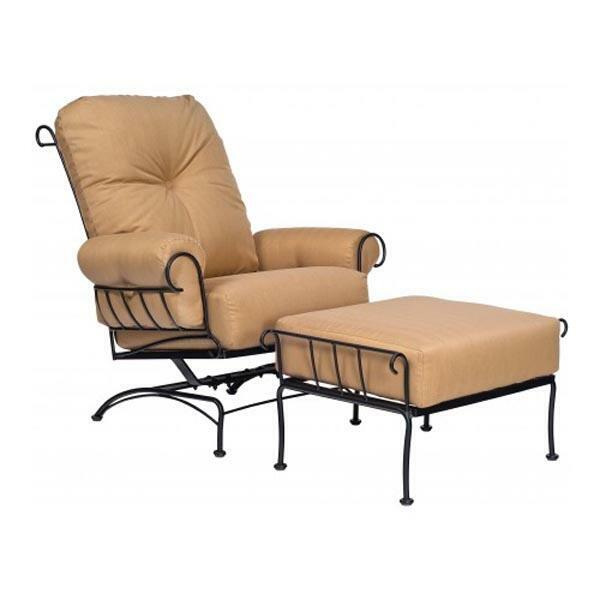 The cushions in this collection offer each sitter unrivaled luxury with cloud-like coziness and relaxation. 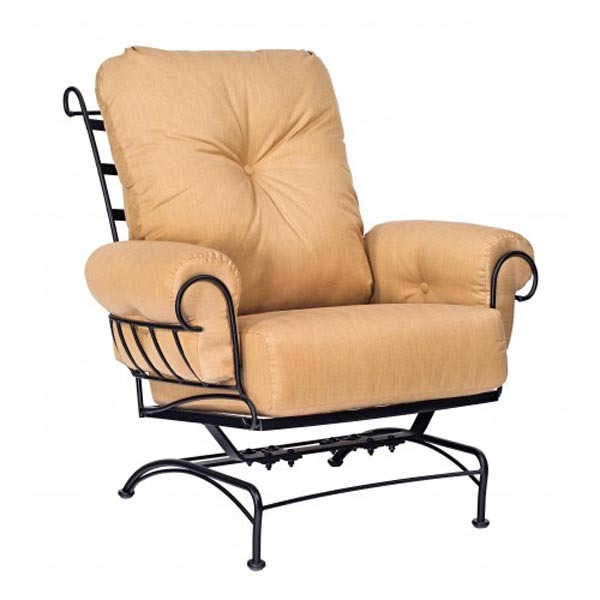 Woodard starts with frames of wrought iron that are bent and shaped by hand around some of the deepest cushions available in the entire patio furniture industry. 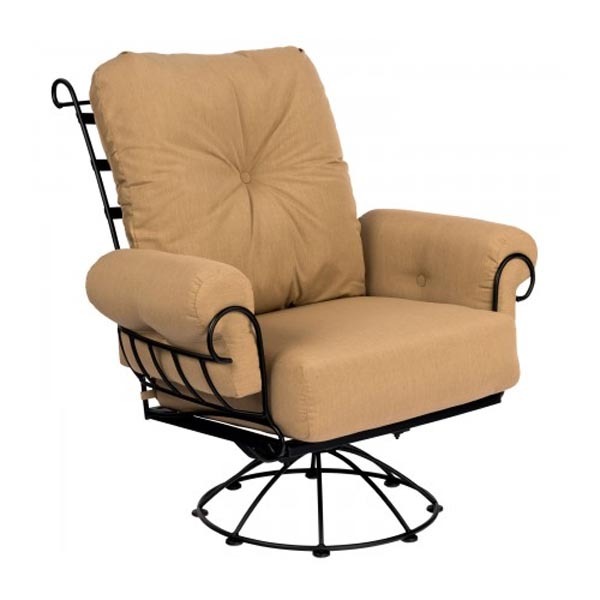 This traditional wrought iron is then subjected to a multiple-stage process that adds rust inhibitors, powder coatings and a sealer to lock out damaging moisture. Gain the very best deep seating experience, backed by a reliable and historic manufacturer, with the Terrace Deep Seating Collection. Width: 40" | Depth: 37.75" | Height: 43"
Width: 40" | Depth: 41" | Height: 45"
Width: 82" | Depth: 42" | Height: 38"
Width: 114" | Depth: 48" | Height: 38"
Width: 32" | Depth: 23" | Height: 18"